A federal judge has placed a temporary stay on President Trump’s ban on transgender soldiers. Meanwhile, transgender veterans struggle to navigate for appropriate healthcare through the Department of Veterans Affairs. 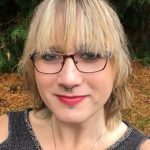 KBCS’s Yuko Kodama spoke with transgender U.S. army veteran Brooke Wylie about her experiences in advocating for services.